BLOOD AND STAPLES: “John” provided this photo, taken the day after a fight in which he sustained injuries—he believes at the hands of members of the Cal Poly wrestling team. The school’s official word after an investigation was that the “responsible party” was probably not a Cal Poly student or wrestler. Before the taunts, before the punches, before he ended up pinned to the ground and repeatedly pummeled, before the blows opened up bloody gashes on his head and arm, John said he was just walking through a residential neighborhood near Cal Poly, looking for a party. As John (not his real name) tells it, he was walking with a friend early in the morning on Jan. 19 when he saw a small group of guys hanging out on the corner of Fredericks and Kentucky streets. As he was walking by, John said some of the guys, unprompted, started taunting and yelling at him and his friend. John said that, after exchanging words, one of the guys started the fight by tackling his friend. John admits he wasn’t blameless in this fight; he started exchanging punches with another guy. Before he knew it, though, he said he was pinned to the ground, unable to move. His opponent was eventually scared away when someone came running out of a nearby house, and John, dazed, went into the bathroom to inspect the damage. 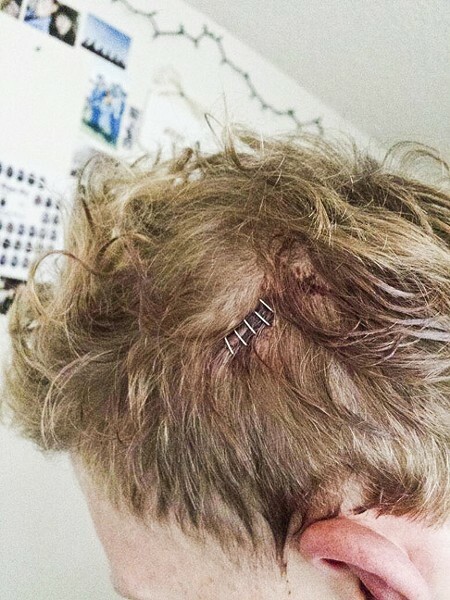 John ended up spending six hours at Sierra Vista Regional Medical Center that night, receiving six staples in his head and stitches in his arm. In the weeks since, he claims to have suffered recurring migraine headaches and had to drop one of his classes because he wasn’t able to focus. School officials did look into the incident. Their official response to New Times was that an investigation revealed that the people behind the pummeling probably weren’t Cal Poly students, let alone on the wrestling team. John, however, maintained his belief that wrestlers were involved and added that he felt like many student-athletes on campus are a different breed than the average student. As it happens, John’s allegations weren’t made in a vacuum. The beat-down marked the third violent incident reportedly involving Cal Poly athletes (official and club teams) to be investigated in a two-month span. On Jan. 12, SLOPD responded to a scene where an injured student had “blood on his hands and neck.” Subsequently, complaints of assault involving the Cal Poly Rugby Club were filed with SLOPD and the university’s Office of Student Rights and Responsibilities (OSRR). On Jan. 19, John and his friend claim they were assaulted by men identifying themselves as members of the wrestling team. New Times reached out to Oberhelman and Dean of Students Jean DeCosta (who oversees all student disciplinary action through the OSRR) in the wake of these recent incidents. Both administrators, through university spokesman Matt Lazier, refused to conduct an in-person or phone interview, and would only respond to questions by email. New Times also requested interviews with the coaches of the athletic teams allegedly involved with the recent incidents, but those requests were denied by Lazier. In multi-page email responses to questions about the Nov. 21 and Jan. 12 incidents—as well as the softball situation—from New Times, Oberhelman and DeCosta both asserted that the incidents were unfortunate but not indicative of any troubling pattern or cultural issue. 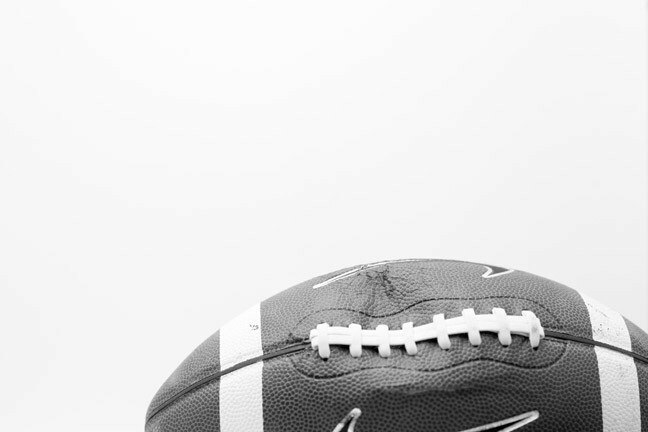 “We don’t see a particular pattern among the three recent cases that calls for a broader policy-level shift,” DeCosta wrote of the football, rugby, and softball incidents. Lazier and Oberhelman said that the university immediately removed Hyde from the football roster and ceased his volunteer involvement as a football coaching assistant upon discovering the circumstances of the shooting, which occurred at Hyde’s off-campus residence in the 400 block of Buena Vista Avenue on Nov. 21. Police reported finding a large quantity of alprazolam or Xanax—a prescription anti-anxiety medication—at Hyde’s residence. In a complaint filed on Jan. 28, the San Luis Obispo County District Attorney’s office alleged that Hyde exchanged text messages with an acquaintance, Brian Thomas Gonzales, regarding selling 900 Xanax pills on the day he was shot. Gonzales, 22, a Castro Valley resident, was arrested in Hayward on Feb. 21, transported to San Luis Obispo County Jail on Feb. 25, and is facing four felony charges relating to an alleged accessory role in Hyde’s shooting. Police are still searching for Hyde’s shooter. According to Lazier, Hyde—who underwent successful emergency surgery to remove a bullet from his abdomen—is still enrolled at Cal Poly, and the OSRR’s investigation into possible violations of student conduct emanating from the Nov. 21 incident has just recently begun. Bledsoe said that SLOPD isn’t investigating Hyde for any crimes at this time, as its primary focus is resolving the shooting. He added that law enforcement might choose to investigate Hyde in the future. With the Jan. 12 incident, the entire Cal Poly Rugby Club was placed “on hold” between Jan. 17 and 21, missing a scheduled match against UC Santa Cruz on Jan. 18. Five players remained suspended from team activities until Feb. 28, when Lazier said the OSRR investigation had concluded. Lazier said that the Family Education Rights and Privacy Act (FERPA) forbade him from disclosing any details about the OSRR investigation, but said that no rugby players remained suspended as of Feb. 28. 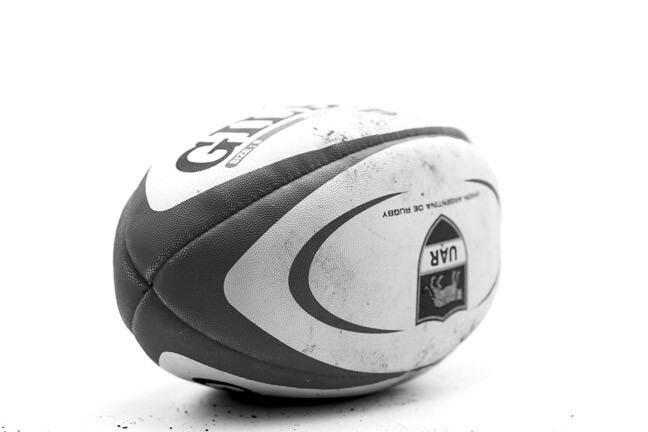 Oberhelman noted that the rugby team is classified as a club sport and administered through the Student Life and Leadership Office, outside of the official purview of the Cal Poly Athletics program. New Times contacted the victim of the alleged assault involving rugby players via email; he wrote that he did not wish to discuss the incident. SLOPD Capt. Chris Staley told New Times that his office had concluded its investigation of the alleged rugby assault and sent the case to the D.A.’s office in late January. Chief Deputy District Attorney Jerret Gran confirmed that his office has received the case, which is currently under review. With the Jan. 19 incident, according to Bledsoe and SLOPD documents, three officers responded to the scene of the assault after they received a call. Documents corroborate that both John and his friend were injured, and the officers took statements from both men. According to Bledsoe, his officers investigated the alleged assault thoroughly, but the case is currently inactive. SLOPD officers were unable to identify any viable suspects, the victims didn’t provide much information, and only one person’s statement identified the perpetrators as Cal Poly wrestlers, Bledsoe said. Lazier said that because this situation constitutes a “first alcohol offense,” university housing staff will handle any potential disciplinary action internally without involving OSRR or conducting a full investigation. New Times emailed several of the softball players seeking comment about the suspensions, but received no replies. As Oberhelman and DeCosta see it, disciplinary violations—athlete and non-athlete alike—are a fact of life at the large state university, which had 19,703 enrolled students as of fall 2013. “Disciplinary problems with student-athletes are similar to our general student body violations—things such as academic dishonesty, relationship issues, forgery, harassment, marijuana violations, etc.,” DeCosta wrote. 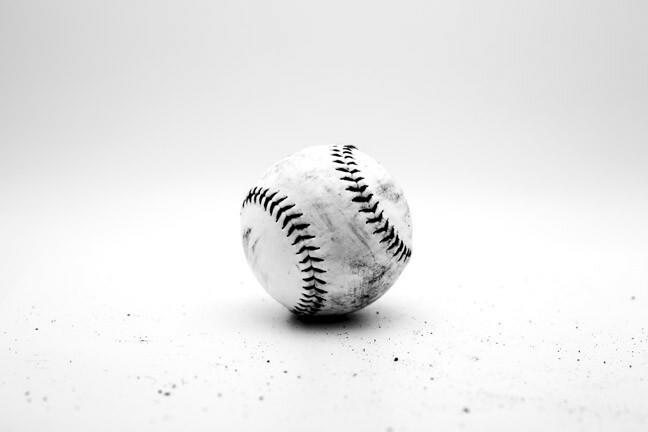 “Beyond these unusual cases, I don’t see an overall rise in disciplinary cases involving student-athletes or any other indication that what we’re seeing right now is anything more than an anomaly,” DeCosta wrote. She explained that university policy is to handle each allegation of student misconduct individually, investigate, and then hand out disciplinary action, if necessary, on a sliding scale. As is standard, the details of student conduct investigations are shielded by FERPA. Oberhelman was largely in step with DeCosta. He said that his office often works in concert with OSRR, but also has the ability to dispense additional disciplinary action for Poly’s roughly 560 student-athletes outside of OSRR purview (as with the softball suspensions). “We are about helping students maintain their own health and safety and helping them understand the consequences of their decisions and actions and how they can be good members of the community,” Oberhelman wrote. When asked if the recent incidents represented an unprecedented flurry of disciplinary problems for Cal Poly student-athletes, Oberhelman was skeptical. Finally, when asked if the university was considering any sort of culture change as a result of the incidents, DeCosta said policy-changing mechanisms are in place, but not needed thus far. He told New Times he’s been busy with classes, rendering him with “no time to press charges.” He also admitted to being less-than-cooperative with SLOPD officers who visited him in the hospital on Jan. 19. However, he said he’s since told “the whole story” to Cal Poly administrators and SLOPD officers who’ve questioned him in the past few weeks. SLOPD Lt. Jeff Smith, who’s been overseeing officers involved in following up on the alleged wrestling assault case, said that it could always become active again with good evidence. Reached for comment on the alleged assault incident involving wrestlers, Lazier wrote in an email that the university was aware of the allegation but no disciplinary action would be forthcoming. “The Dean of Students/OSRR did receive a complaint from one student alleging an assault by a Cal Poly wrestler or wrestlers. OSRR has completed its investigation into the matter,” Lazier wrote. “Because they have yet to go over the report with the student who filed the complaint, we can’t go into any detail—other than to say that evidence in the case pointed to the responsible party being a person or people who in all probability were not Cal Poly students and not members of the wrestling team, and no Cal Poly students are facing disciplinary action as a result of the investigation,” he wrote.